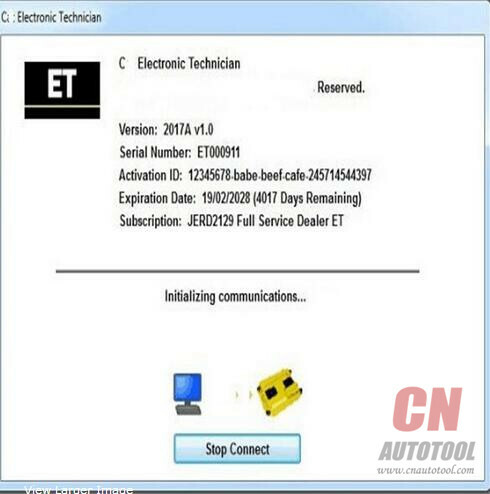 Caterpillar ET 2017A, Latest CAT ET Diagnostic Software to work with CAT/CAT3 Truck Scanner,With one free activation, can send software online,Supports Multi-languages. We will remote help you installed and activation for 1 laptop by Teamviewer! Note: The most recent version of Microsoftò Internet Explorer may not be validated to work with the service tool from CnAutotool.com.